It’s hard to remember that we actually have another match this weekend, after a painful and disappointing derby defeat to Millwall last weekend many could be forgiven for forgetting that we have another fixture on Saturday. Thankfully, we can move on and hope to get three points this weekend as long as we aren’t playing away against anyone in form...oh wait. If we have to bounce back from the Millwall defeat, we will have to beat Sean Dyche’s Burnley who have been the season’s surprising package so far with the Lancashire club currently sitting in 2nd place. After the sale of key-striker Charlie Austin to fellow-Championship club QPR, there were a few who would have picked out Burnley to get relegated this season. However, much to the credit of Sean Dyche and his playing staff, they have deserved their current position in the table, playing some decent football and beating some difficult opponents. Burnley have only lost one game so far this season and have won five out of a possible eight games. In their last league fixture, Burnley defeated Leeds 2-1, thanks to a winner from Sam Vokes who has formed a deadly partnership with Danny Ings with the pair scoring nine league goals between them this season. 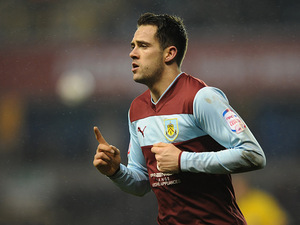 The player to watch this weekend is Burnley striker Danny Ings. The striker struggled to make an immediate impact for Burnley when he joined for £1m in 2011 mainly due to injuries. However, the ex-Bournemouth man has certainly made his mark so far this season and the 21-year-old will be a constant threat to the Charlton back four this weekend. The line-up/formation this weekend for Powell is a very tricky situation. The recent 3-5-2 experiment started promisingly enough, but after two back-to-back defeats, there have been many calls for the 4-4-2 formation to return. If the 4-4-2 formation does return, then we could see a first-start for loan-signing Cameron Stewart who was one of the very few bright sparks last weekend. 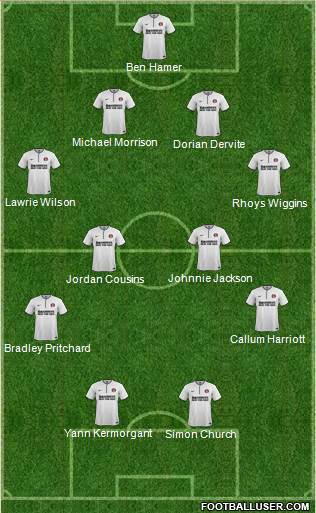 We could also see youth-products Callum Harriott and Jordan Cousins return to the starting line-up in midfield. Another selection headache for Powell will be who his centre-back partnership will be. Michael Morrison will no doubt start but Dorian Dervite and Richard Wood will be competing for other centre-back spot. A doubt for Saturday is Yann Kermorgant who missed the last two defeats, and if Charlton want to get a result out of Burnley, they will be hoping that Yann can return to give the side a lift. If Yann doesn’t manage to shake off the injury, then it’s likely that on-loan striker Marvin Sordell will return to the starting eleven ahead of Joe Pigott. We’ll get a surprising 1-0 away victory and Powell will be in demand for a knighthood again. I thought Burnley would be relegated after selling Austin. However, Charlton always confound me & I fancy us to sneak a win 1-2. I wouldn't play a 5-3-2 with Trippier playing for them, It would give him too much freedom to get forward so I agree with the lineup above. I'll go for a shock Charlton win and our first clean sheet of the season. 2-1 defeat after being 1 up till the 65th minute. Plenty of positives though as we managed hold out against Promotion contenders Burnley for so long. We were just unlucky. Burnley are in brilliant form and are scoring goals for fun, especially Ings. Can't see anything other than a Burnley win here. I agree we need to think about reverting to four or five in midfield with a flat back four, but there's no way I'd start Pritchard on the right, especiallly with Stewart available - an actual right winger. Get him in and Harriott on the left and go for it. Last season we pulled rabbits out of hats away from home to the extent that CP thought we "over-performed". The rabbits have have all disappeared this season and I will be surprised if we see one on Saturday. I fear we will get what we always used to bet at places like Turf Moor. And, statistically we are well overdue for a stuffing, so I'll go for 3-0. Despite what Wilson said this week they wont show up and cant see anything but an easy win for Burnley 2-0. 1-3. 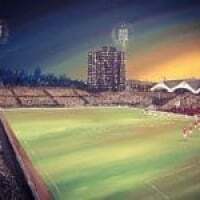 Quickly followed by huge backlash on Charlton Life, with members blaming any of the following for our latest defeat, the sale of Lansdowne Mews, Airman moving to Ramsgate, Nick Pope's haircut, CP forgetting to wear his flat cap, Iain Dowie's brother, the sale of Derek Hales to Derby County and Bradley Pritchard for trying to hard. If they score early on we will fold! Can`t see where the goals will come from for us so a tame 0.3 to Burnley for me! Wont even be listening (he lied). Without yann we have no chance. With yann with a very slim chance. Went last year. Saved this year as spending both Saturday and Sunday ferrying my lads to uni. Routine north west 3-0 defeat. All about the home form this year. Sorry to say this but can't see us getting anything out of this game. Going for a 2-1 home win. Would like to see more grit and determination though. Yann outside chance of being fit. Which means he wont start. Which also means we wont score. Tactically speaking, we could be outrageous and try putting our best players in the team. bog standard 2-0 Northern defeat. Stewart in the starting 11 please. Pay on the day option? I fancy a drubbing, we're due one. We'll reach a real low point then bounce back against Forest. I had absolutely no intention of going anyway, not somewhere I plan to go back. 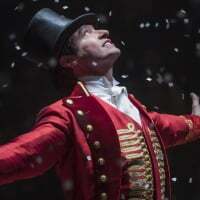 Fair play to anyone journeying up. Beaten out of sight. 4-0.